Above: A recent shot taken of the hedgehog. The hedgehog cactus I ate about a month ago seems to be doing fine. 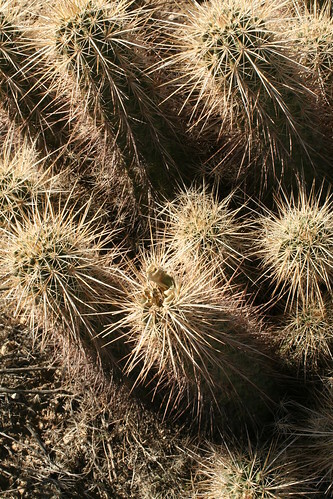 However, several people have told me the cactus I ate had yellow needles not because it was the wrong cactus, but because I ate one covered in coyote pee.